The diamond industry is abuzz with talk about synthetic diamonds, much of this is driven by intense marketing hype. We first heard that GIA, the world’s most respected testing and certification lab for gems and diamonds, would offer certification services for synthetic diamonds. Debeers one of the pioneers in the diamond industry then disclosed that, it would be dealing in synthetic diamonds. It further revealed plans to set up a complete facility to manufacture synthetic diamonds. This came as a bolt to the diamond community, Debeers was once acclaimed as the godfather of the glittering industry. 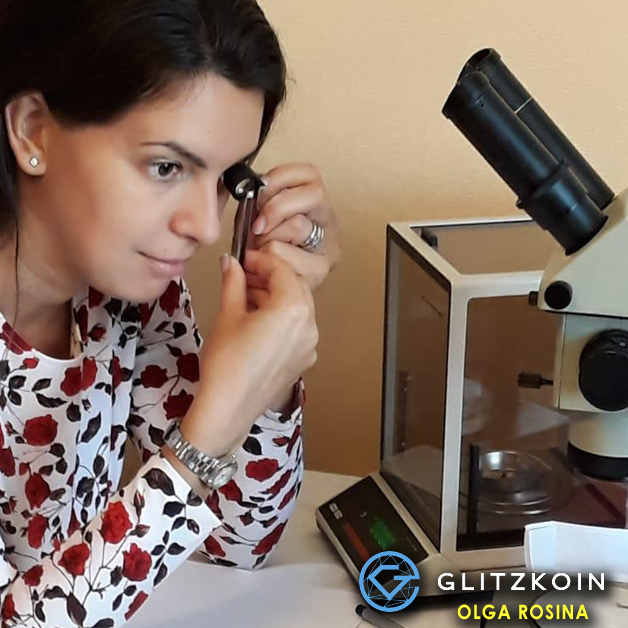 Olga Rosina the diamond expert on the Glitzkoin team, explains the meaning of synthetic diamonds. In her words, ‘… synthetic diamonds are made in sophisticated laboratories that, mimic the natural environment in which diamonds are naturally formed…’. She goes on to explain that, each synthetic diamond is formed around a ‘seed’ – this is a tiny chip or piece of natural diamond. Since synthetic diamonds are being pumped as the next best thing to natural diamonds, just how valuable are these man made stones. Olga explains that, the current equation is in favor of synthetic diamond manufacturers. Equipment required is very complex, very expensive and the process is very scarcely understood. Having said that, the price of synthetic diamonds have today shown a significant drop – they are around 70% to 80% cheaper than, their natural counterparts. Let’s suffice it to say that, synthetic diamonds give the same look and glitter of natural diamonds, at a fraction of the cost. The status and value attached to natural diamonds, can never be delivered by factory made substitutes. Giving her opinion on the future of synthetic diamonds, Olga Rosina made some interesting observations. The current hype around synthetic diamonds is largely based on their exclusivity, this could be a very temporary thing. It is not unlikely that, some smart manufacturer from or outside China, would in the near future – develop and sell the equipment and technology at a break bottom price. This is when the price of synthetic diamonds will not be worth talking and wasting time about. The price crash would most likely bring severe disappointment to those, who have already ‘invested’ in factory made diamonds. So where do synthetic diamonds fit in, within the Glitzkoin and DiaEx framework. DiaEx is an advanced blockchain based diamond trading platform (exchange), the module is an important component of the Glitzkoin project. Glitzkoin CEO Navneet Goenka, has minced no words when he clearly mentioned that, synthetic diamonds have no place on the Glitzkoin platform. Glitzkoin: The first diamond blockchain project to be promoted by a diamond veteran. The project successfully completed an ICO in June 2018 – the ICO token price was $0.20. The Glitzkoin GTN token is now trading on Stellar based exchanges. With the DiEx Diamond exchange, scheduled to be launched in Q4 of 2018, the token has maintained a consistent price range at $0.18 to $0.22. Olga Rosina is one of the diamond experts on the Glitzkoin team. She brings more than two decades of diamond expertise to the team. Closely associated with two of Russia’s largest diamond mines, Olga has played an important role in defining the parameters of the DiaEx diamond exchange and the Diamond Price Estimator DPE.